Jacob Leupold was born on 22 July, 1674, in Planitz, near Zwickau (Electorate of Saxony), in the family of George Leupold (1647-1707), a cabinet-maker, turner, sculptor and watchmaker from Johanngeorgenstadt (Erzgebirge), and Magdalena Leupold. Since early childhood he had an interest in various mechanical things and as he described it later, ...I had not only opportunity of seeing how different things have been made, but also manual work made me strong. George Leupold sent his son to Zwickau's Latin school. In 1693 Leupold started to study theology in the University of Jena, but he did not give up his interest in mechanical things—he also was attending lectures of the well-known astronomer and mathematician Erhard Weigel. In 1694 Jacob left Jena, since he obviously could not afford the registration fee, and switched to the University of Wittenberg, but soon left it for the same reason—lack of money. Finally in 1696 Jacob was enrolled for free at the University of Leipzig, where he apprenticed to an instrument maker and in 1698 he started to produce globes, quadrants, sundials and measuring and drawing instruments. He was so successful that he broke off his studies and for setting up a mechanical workshop. He was helping to design and build many instruments needed for experimental physics studies and his interests had fully changed from theology to mechanics and mathematics. In 1701 Leupold got a position as an hospital warden in George Military Hospital, thus obtaining regular income, but not enough free time to dedicate himself to mechanics. In the same 1701 he married to Anna Elisabeth and they had three sons and three daughters, who all died young except for one daughter. Anna Elisabeth died in 1714. In 1704 Leupold become sick from an unknown illness, possibly a stroke, which affected his memory and hearing. In his discussions on the capacity of humans for labour, he notes that he was able to lift and move far more weight before his illness. In 1714 he resigned from the hospital and managed his instrument shop with several assistants. The shop produced both musical and scientific instruments. During this time, he was associated with University of Leipzig as a mechanic. In 1715 he was appointed member of Berlin Academy of Sciences. This position quickly attracted two other plum appointments: Commissioner of Mines to Saxony and Counsellor of Commerce to Prussia. Leupold is also credited as an early inventor of air pumps. 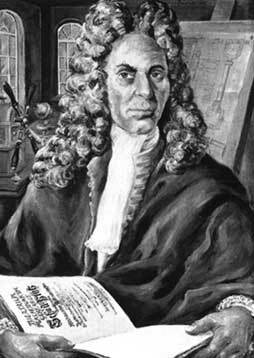 He designed his first pump in 1705, and in 1707 he published a book Antlia pneumatica illustrata. In 1711 following an advice of its president Wilhelm Leibniz, Prussian Academy of Sciences acquired Leupold's pump. In the beginning of the January 1727, when eighth volume of the Theatrum Machinarum is nearing completion, Leupold fall gravely ill and died on 12 January, 1727, at the age of only 52.